All quotes found in this article are from the book, “Genghis Khan and the Making of the Modern World,” unless otherwise noted. The book can be purchased here. 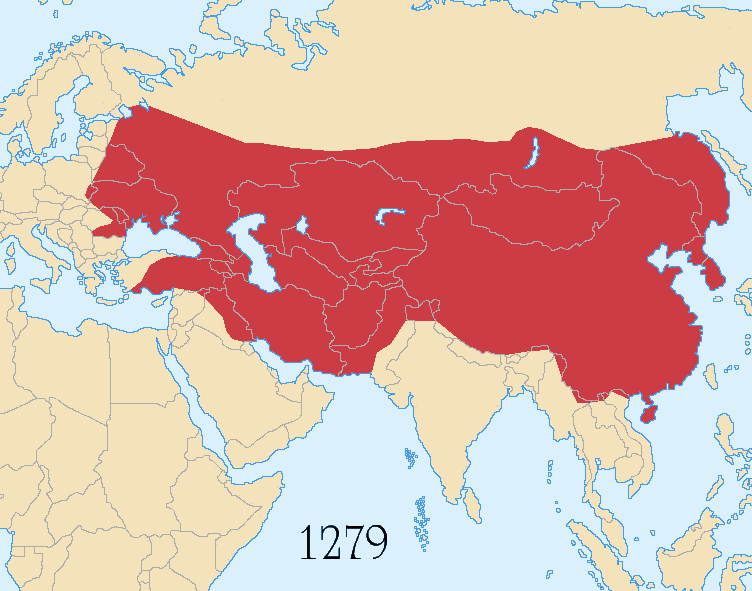 Genghis (born Temujin) Khan was the founder of the Mongol dynasty, the largest contiguous land empire in history. The Great Khan is one of the most polarizing figures the world has ever seen. Due to a lack of information, or outright lies & myths, much of his life remains shrouded in mystery. Vilified in some circles, revered in other – one thing is near certain – he is the greatest conquer the world has ever seen. Gone are the days of sieges, cavalry, and large scale land battles, but many lessons can be learned from the Mongols, Genghis Khan in particular. History allows us to learn from the best minds who have lived before us. We can study their lives (and experiences) to see what characteristics, virtues, and traits transcend individuals in different era’s. Let me identify was this article is not. In no way am I trying to glorify Genghis Khan or judge his moral compass. Indeed, the Mongols were responsible for destruction and bloodshed on an unfathomable scale. Millions of lives were lost and whole cities were sacked and destroyed. 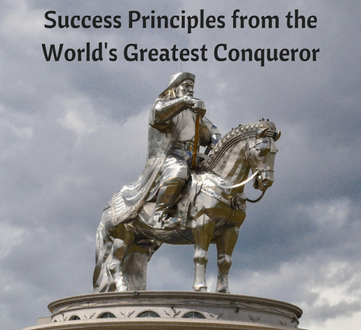 I will instead focus on the success principles and leadership qualities Genghis Khan embodied. The goal of this article is to look at the Great Khan’s mindset to see what we can apply to our own lives. A lot of us are set in our ways – rigid and unimaginative with the choices we make. So deep in routine and mundane living, we make little effort to alter the course of our lives. Days, weeks, months, and years pass at a frantic pace. We detest change; fear of the unknown paralyzing us. By resisting change and embracing our comfort zone, we lose the mental edge necessary for higher achievement. At no single, crucial moment in his life did he suddenly acquire his genius at warfare, his ability to inspire the loyalty of his followers, or his unprecedented skill for organizing on a global scale. These derived not from epiphanic enlightenment or formal schooling but from a persistent cycle of pragmatic learning, experimental adaptation, and constant revision driven by his uniquely disciplined mind and focused will (9). It’s easy for us to think we have all the answers. We often think ourselves infallible, that our decisions are full-proof and well thought out. However, we often struggle with basic decision making because we rely on incomplete information or unreliable individuals. We don’t seek out the best knowledge possible. Although we shouldn’t let other people dictate our life, we should lean on those who have specialized knowledge that might help us grow and solve problems. After executing the soldiers, the Mongol officers sent clerks to divide the civilian population by profession. Professional people included anyone who could read and write in any language – clerks, doctors, astronomers, judges, soothsayers, engineers, teachers, cameleers, and people who spoke multiple languages, as well as craftsmen (112). In our own lives, our circle of trust should be people who push us to be better. We should learn and grow with our companions. Relationships should always be mutually beneficial. If we aren’t getting anything out of these relationships, we need to cut bait and move on, as painful as that may be. Genghis understood this from an early age. Let down by family and close friends, Genghis surrounded himself with men he knew he could trust. In our own lives, we sometimes give family and friends too many chances. We sympathize with those closest to us, and give them second chances when they don’t deserve it, stunting our personal growth in the process. We keep around friends we have known forever because we don’t know how to break away, even when we know it’s the right decision. Temujin, however, assigned some dozen responsibilities to various followers according to the ability and loyalty of the individual without regard to kinship. He gave the highest positions as his personal assistants to his first two followers, Boorchu and Jelme, who had shown persistent loyalty to him for more than a decade. Temujin Khan exercised a decisive ability to assess a man’s talent and assign him to precisely the right task based on his ability rather than his genealogy (40). Genghis understood the importance of information, specifically propaganda. The Mongols operated like a modern-day marketing firm, spreading gossip, rumors, and misinformation to keep enemies confused and afraid. As he approached a new city, he had his men spread terrible rumors among the local population. He always gave the opposition the opportunity to submit to him. Unfortunately, not enough subjects took him up on his offers, and suffered annihilation because of it. Operated a virtual propaganda machine that consistently inflated the number of people killed in battle and spread fear wherever its words carried. Like Genghis Khan, we must be the master of our image. Social media allows everyone to practice manipulation in various ways. We are able to create a visual representation of our lives, but have the ability to manipulate our appearance and narrative; excluding the bad and overemphasizing the happy. If we aren’t careful, this can lead us towards negative thoughts, as we think those around us are living the perfect life. Remember that most of what we see is misinformation. The news is designed to strike fear and elicit outrage. TV shows try to play with our emotions and feed our need for drama. People are inherently selfish, so they will often put their needs ahead of ours. We choose our mindset and need to focus internally on the self, instead of focusing on the external, deceptive world. Shun the propaganda and misinformation, and instead, form your own opinions and beliefs. Genghis Khan believed in total victory. He always gave people the opportunity to surrender without bloodshed. He didn’t believe in torture or unnecessary cruelty. But when deceived or insulted, he showed no mercy. Like the Great Khan, we should always see things through until completion. Our focus is the most important aspect of consistency and success. Mindset matters. Instead of looking for shortcuts, embrace the strenuous life and see things through until completion. Instead of getting bogged down with multiple projects, focus on one area and destroy it! Procrastination and lack of focus, thanks to countless distractions, are the most destructive forces in our world today. The Mongols did not find honor in fighting; they found honor in winning. They had a single goal in every campaign – total victory…As Genghis Khan reportedly said, there is no good in anything until it is finished. No half measures – go full throttle in whatever you embark on. Embrace the Mongol mindset and see everything through until completion. He tried to teach them that the first key to leadership was self-control, particularly the mastery of pride, which was something more difficult, he explained, to subdue than a wild lion, and anger, which was more difficult to defeat than the greatest wrestler. He warned them that “if you can’t swallow your pride, you can’t lead.” He admonished them never to think of themselves as the strongest or the smartest (124-125). There is a lot to unpack here. First, Genghis warns his sons about the pitfalls of both pride and anger. Both are okay in moderation, but if not controlled, your downfall is all but assured in the long run. Being overconfident can also lead to mistakes. How many times have we seen someone lose it all because they got cocky or lazy? A true leader knows that nothing is ever assured. All of these beliefs can be applied to our own lives. Use history to feed your future. 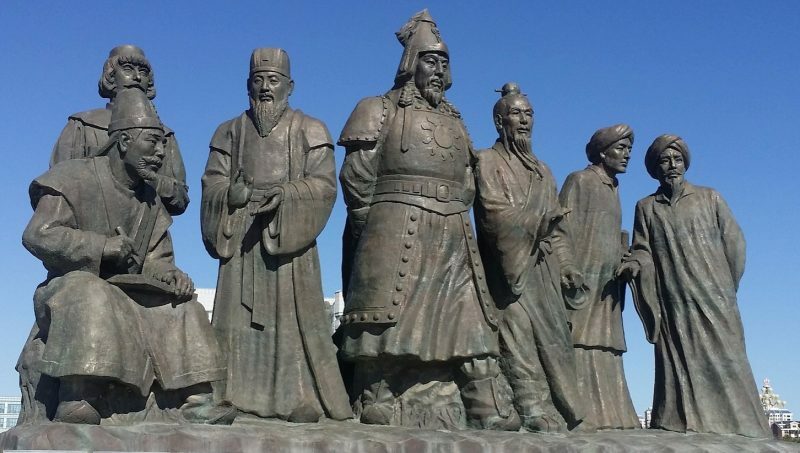 The story of Genghis Khan and the Mongols is just one of countless narratives you can use to gain an edge. I hope you enjoyed. P.S. For the excellent narrative of Genghis Khan and the Mongols, pick up “Genghis Khan and the Making of the Modern World” here. All quotes above came from this book.